Take 3 deliciously decadent Divas with powerhouse voices and larger than life personalities to match and you have The XTREMES doing “WOMEN OF SONG” All the way from Cape Town MARGUERITA FREEKS, DOROTHY MALGAS and LELETHU ZULU will blow you away with their incredible voices These 3 talented ladies pay homage to some of the greatest Divas of our time, from Soul, to Motown, to disco and beyond. They will take you back to a time when music was real, and simple and harmonious – music that touched your heart and soul. These songs will fill you with memories and make you want to fall in love all over again. 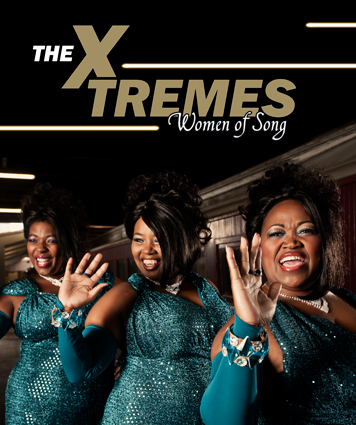 The X-Tremes celebrate the simplicity and magic of music gone by and showcase their own wondrous voices in powerhouse solos and glorious 3 part harmony Enjoy a truly magical evening from the best “women of song”! Not to be missed!